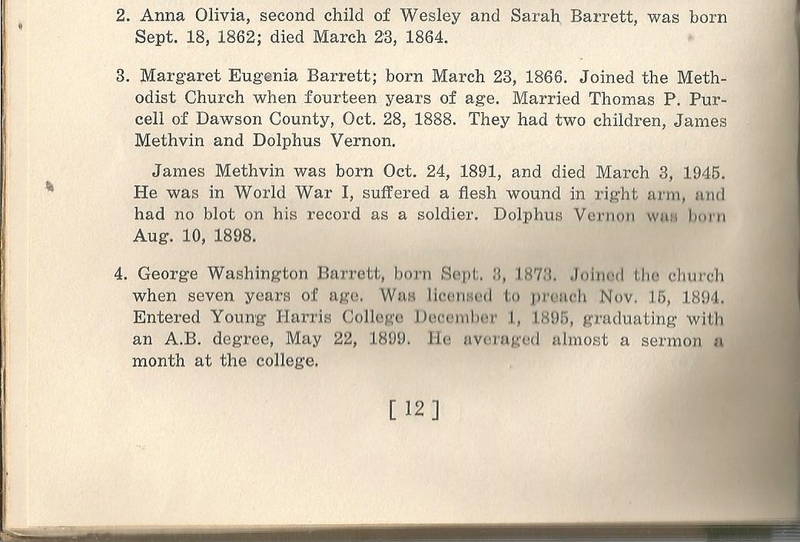 Margaret (1918-2007) was the last of the children of Nellie Seguin Fox Barrett (1876-1958) and George Washington Barrett (1873-1956) to die. 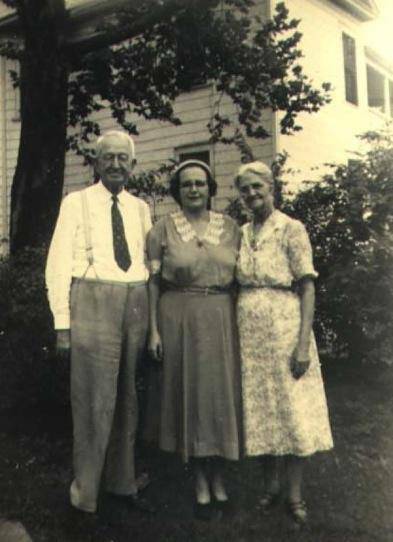 Her husband, Mack Bartlett (January 24, 1916-July 4, 2006), preceded her in death. BARTLETT, MARGARET BARRETT, 89, passed away at the Episcopal Church Home. She was a native of Lithonia, GA. She was a retired secretary with Atlantic Steel Co., and a member of Crescent Hill Baptist Church. She was preceded in death by her husband, Mack G. Bartlett; and her siblings. 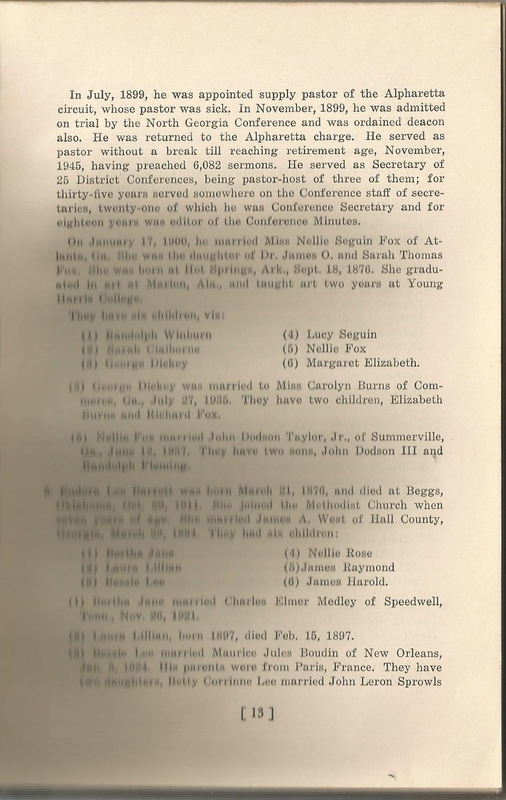 She is survived by her two sons, Dr. Glenn H. Bartlett (Jean), and Allen S. Bartlett (Eileen); three grandchildren, Joe Bartlett (Amber), John Bartlett, and Amy B. Bashiti (Samer); her great-granddaughter, Emma Bartlett; and numerous nieces and nephews. A Celebration of Margaret’s life will be held at 3 p.m. Saturday in the Chapel of Crescent Hill Baptist Church, 2800 Frankfort Avenue. Visitation will be after 2 p.m. Saturday at the church. Arrangements entrusted to Arch L. Heady-Cralle Funeral Home. Expressions are requested to the Memorial Fund of her church. Uncle Randy sent this photograph of a painting by Margaret Elizabeth Barrett Bartlett (1918-2007), one his aunts and one of my great-aunts. Our family is replete with artistic talent–literary and visual. 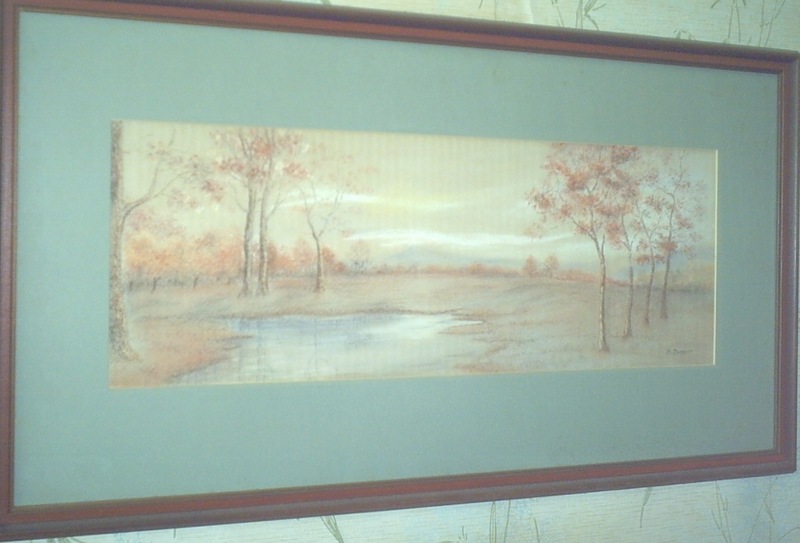 Margaret seems to have taken after her mother, Nellie Seguin Fox Barrett (1876-1958) artistically, as this post attests. 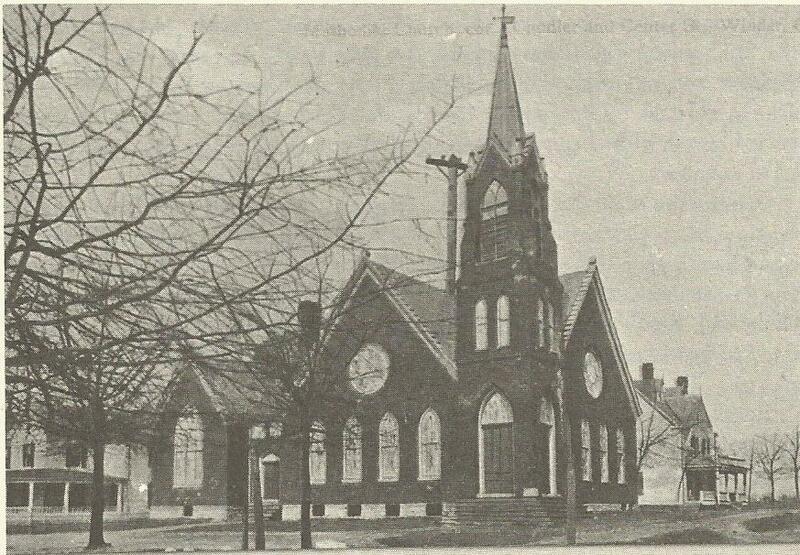 The brick structure of the church, erected in 1904, looked like this until the early 1920s, when renovation occurred. 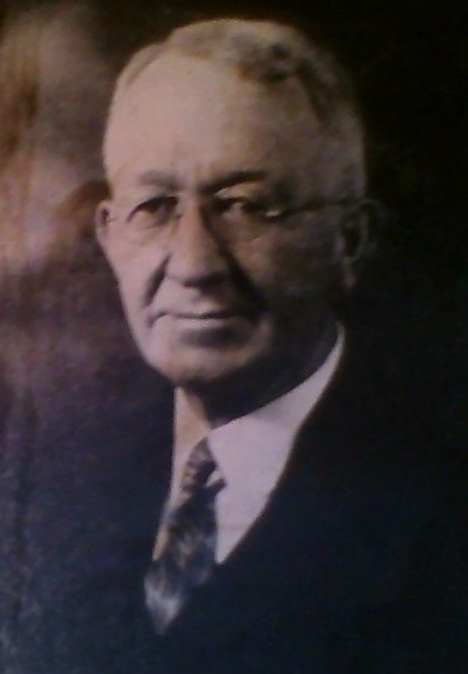 The building had its new front doors, front porch, and front steps when my great-grandfather and his family arrived. 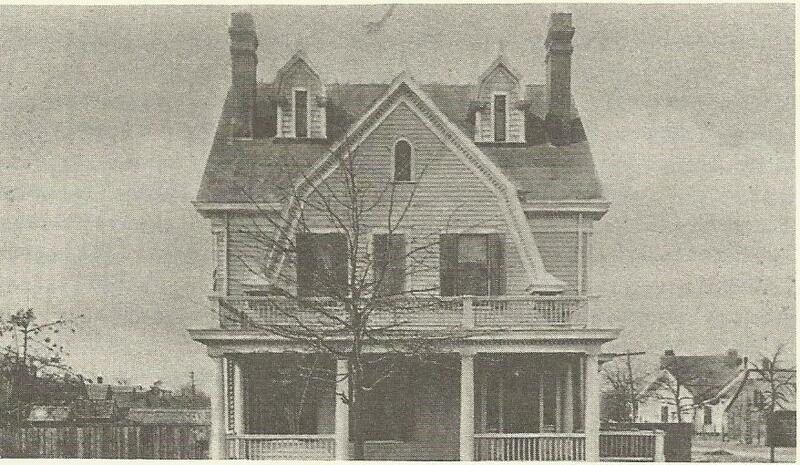 The parsonage was on the right, behind the church building. 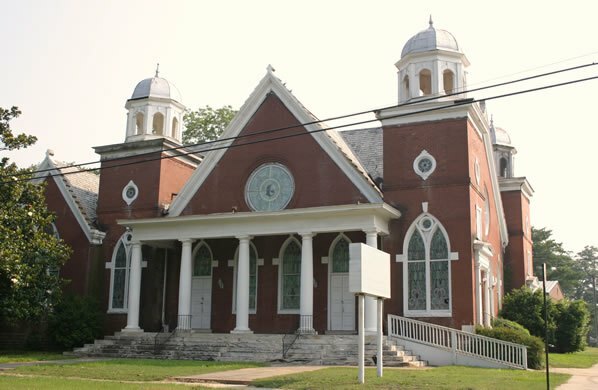 The First Methodist Church relocated to a new plot of land in 1964. When I found the old building in 2010, the Sanctuary of the Holy Spirit, an independent congregation, had occupied the building and undertaken the work of restoring it. Alas, a fire resulting from a lightning strike destroyed the structure last Summer. When I compare the older and more recent church photographs and recall what I saw when walking the ground, I notice that the old house on the left in the older photograph was still there in 2012 and and that the old parsonage was not.